Attendance Matters! / Attendance Matters! 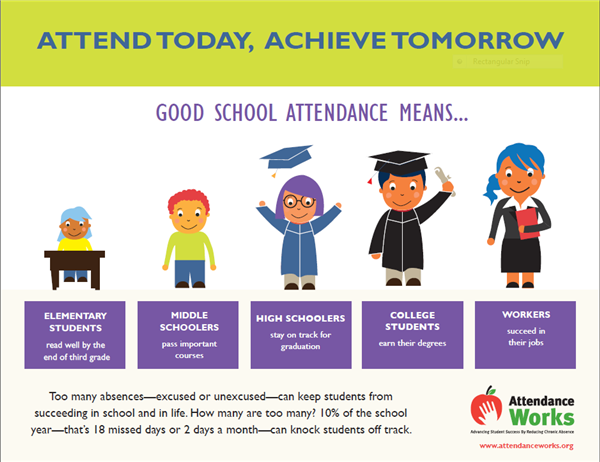 Attendance is an important life skill that will help students graduate from high school, college, and keep a job. In fact, attending school is a child's first job where one's work ethic is developed. "Students should miss no more than 9 days of school each year to stay engaged, successful and on track to graduation." 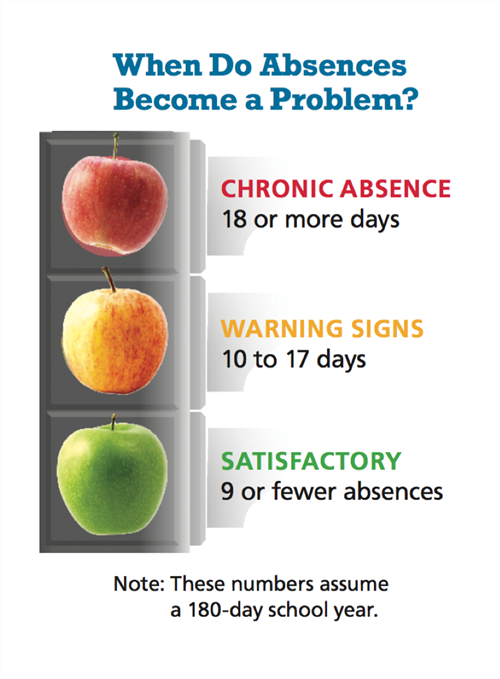 Students with chronic absences, defined as 18 or more unexcused or excused absences per year, are at serious risk of falling behind in school.